Once a month; every 3rd Saturday & Sunday! We know life can be busy and we believe family and community are important. Here at Jay’s Bed and Breakfast, we believe in a strong, wholesome community. 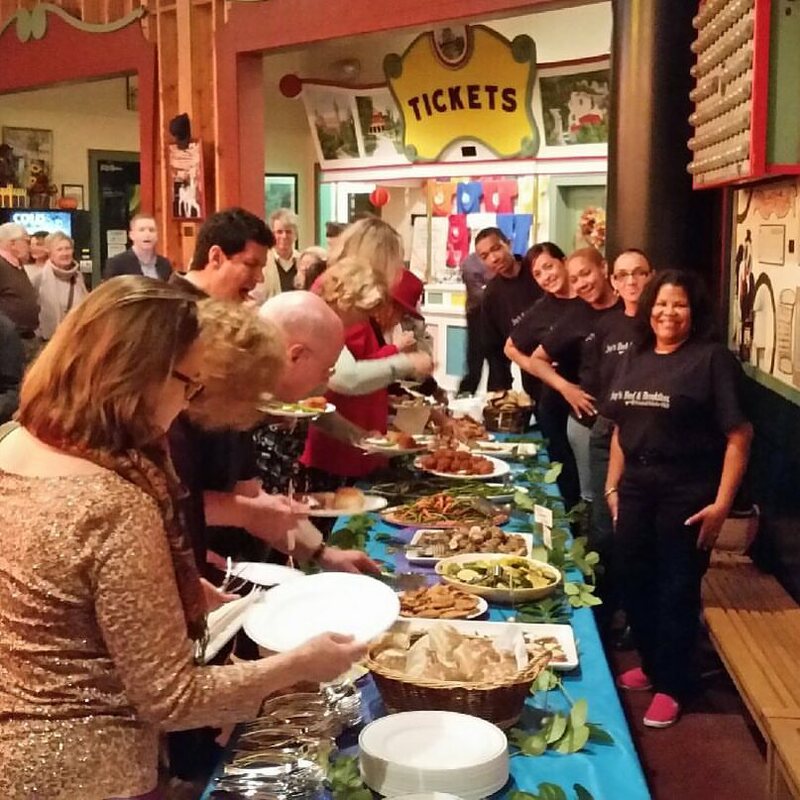 We know that some of life’s greatest moments are shared over a warm, hearty meal. 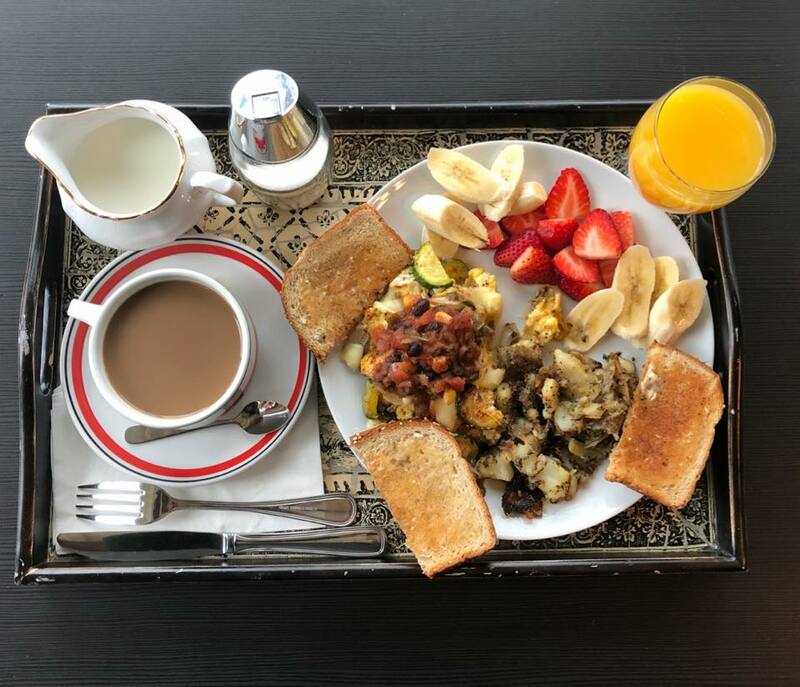 At Jay’s Bed and Breakfast, it is our mission to serve you exactly that: fresh, home-cooked dishes with impeccable customer service so that you and your loved ones can enjoy valuable time together. 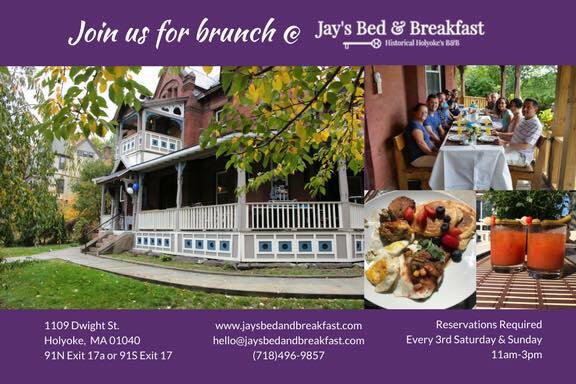 Whether it’s a quick get-together or a weekend family reunion, Jay’s Bed and Breakfast has just the service for you! Come to our monthly brunch events to experience some of Chef Jay’s greatest dishes - you won’t regret it! Our weekend brunches, every 3rd Saturday and Sunday, are a great way to try new dishes Chef Jay creates. With years of experience, Chef Jay has grown accustomed to skillfully personalizing his dishes to accommodate a range of palates. Our service includes a buffet-style brunch (14-18 dishes) and an assortment of nonalcoholic beverages. Call (718) 496-9857 now to order Chef Jay’s homemade salsa, chips, and/or empanadas! Great for on-the-go, as a quick snack, and/or enjoying with family and friends. Be sure to spread the word and order some NOW because Chef Jay’s homemade brunch to-go’s sell out quick!